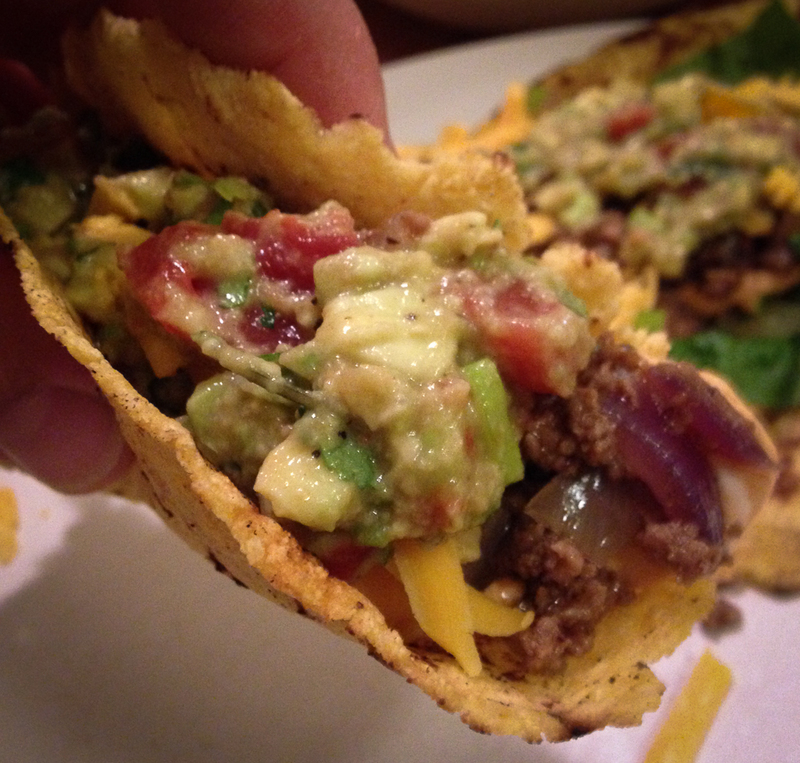 Homemade corn tortillas are much more delicious than those you can buy from grocery store. They are easy to cook if you have a sturdy wooden cutting board and a little patience. 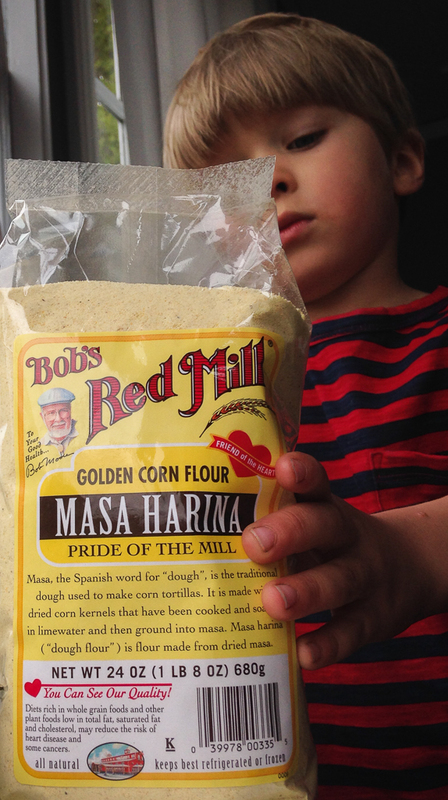 Measure masa harina flour and salt to a bowl. Mix the flour and salt. Dig a pit in the middle of the flour. Pour hot water in to the flour pit and mix the dough with a spoon or spatula. Let cool 15–20 minutes. Unlike most of the tortilla recipes, we prefer using boiling hot water, because it turns the dough to rubbery and easy to mold. Take a clean cotton cloth or towel. Soak the cloth in warm water. Twist and squeeze off all the excess water you can. Twist and squeeze off the rest of the water. Fold the cloth on the bottom of a pan or ovenproof pot with a lid. You will store the fried tortillas in the pan or pot and they get nicely soft after absorbing the moist from the cloth on the bottom. When the dough is cool enough, divide it and mold to balls of about the size of a ping pong ball. Cut the two feet slice of a plastic wrap or take a sturdy plastic vegetable bag and cut open it’s bottom and another side. Spread the plastic wrap over the table. 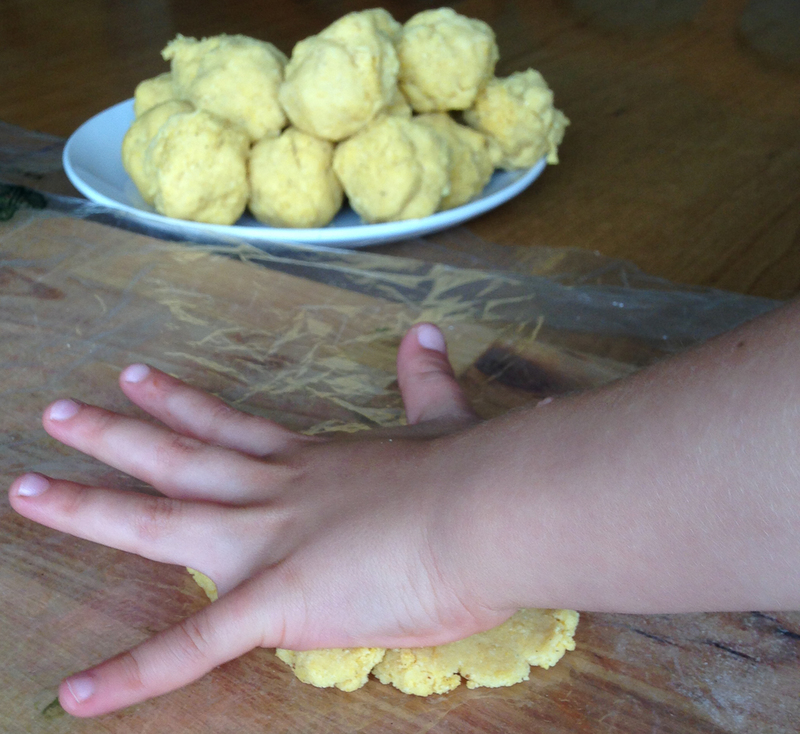 Place the first dough ball to one end of the wrap and flatten it a bit by pressing with your palm. Fold another end of the wrap over the dough and press a bit more. Take a wooden cutting board and place it over the dough with plastic on the bottom and the top. If the board is not perfectly straight place it the convex or “round” side down. Press the dough to tortilla flat by using the cutting board. In this you may have to use a bit of force. 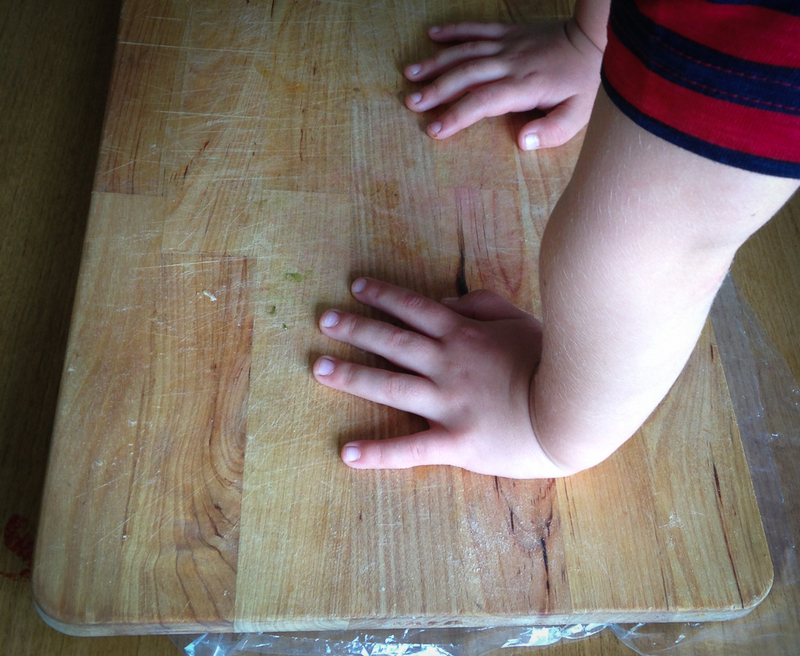 Turn the flat horizontally 90 degrees on the table and repeat the pressing. You may swing the cutting board on the tortilla but don’t rub it against the table. Heat the skillet to very hot. If you use the skillet made of cast iron like the one in Sous Chef’s kitchen you should smear a drop of olive oil on it. Nonstick skillet doesn’t need oil at all. When the tortilla is thin enough, remove the other end of the plastic wrap from the top. Lift the tortilla on you palm dough side down. Carefully remove the remaining plastic wrap from the tortilla. Place the tortilla on the hot skillet. Start molding the next dough ball to the tortilla. 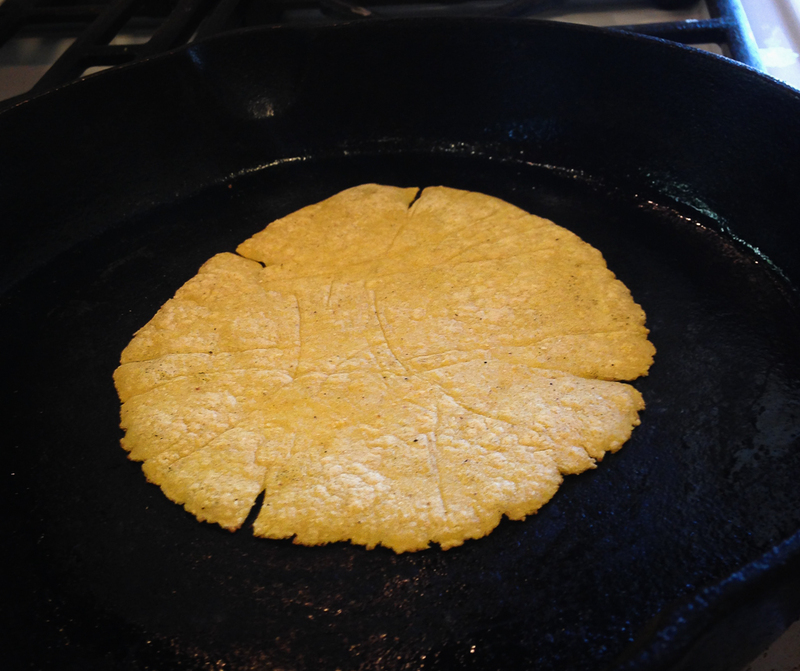 Fry the tortilla on the skillet until the top starts bubbling and you can easily stick a spatula under the tortilla. Flip it over. Fry the other side until you can see the first brown spots appearing on the bottom of tortilla. Lift the well done tortilla to the pan or pot with the damp cloth on the bottom and cover with a lid. If you serve the tortillas fresh with the taco fillings, put the pan or pot to the oven of 170 F degrees to keep the tortillas warm. 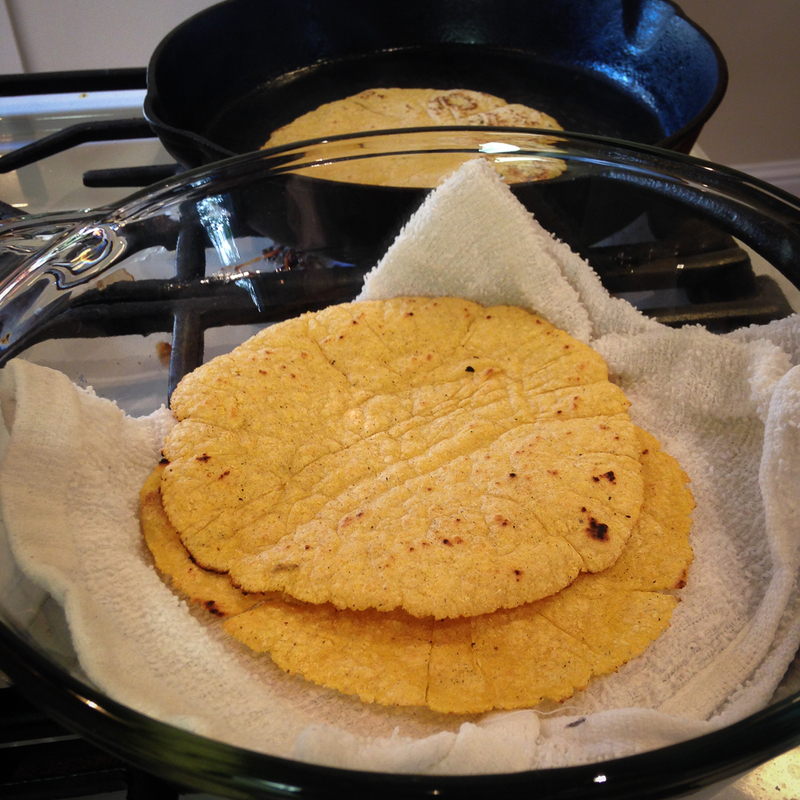 Before serving or further preparations flip over the stack of tortillas in the pan or pot. 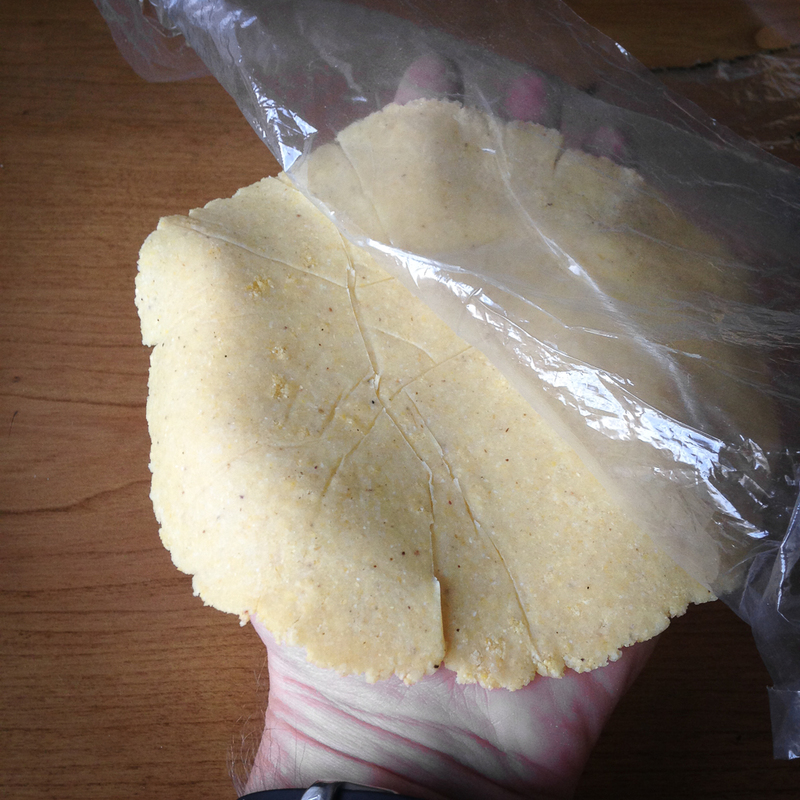 The first made tortilla is the most damp and soft and goes to the top.